Are they part of the solution or part of the problem? 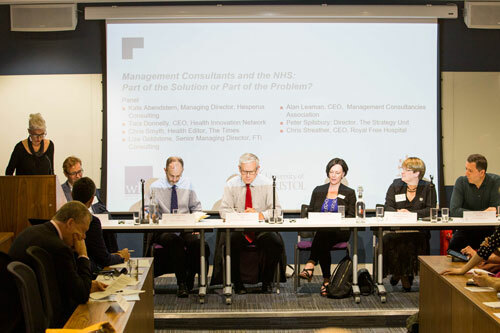 An expert panel gathered at Cass Business School on Wednesday 9th May to discuss if, and how, the NHS should continue to use management consultants. The panel, which was chaired by Dr Amanda Goodall, Co-Director of the Executive Masters in Medical Leadership at Cass, featured a range of speakers representing different perspectives on management consulting in the NHS including from management consultancy, the media, academia and the NHS. In the NHS today, external management consultants provide advice on strategy, organisation and financial planning and help implement various changes around IT infrastructure and systems.IT. Annual spending on consultants reached £640 million in 2014 and, although it has subsequently fallen, it remains highly controversial. Speaking at the event, Dr Goodall, whose research focuses on expert leadership, said the event came at a particularly pertinent time for both the NHS and the management consultancy industry. “The industry and users claim to provide valuable expertise and efficiencies for an organisation in need of change, while critics accuse the government and NHS of waste – with money better spent on other sources of management expertise or directly on patient care,” she said. You can find out more about Dr Amanda Goodall here. 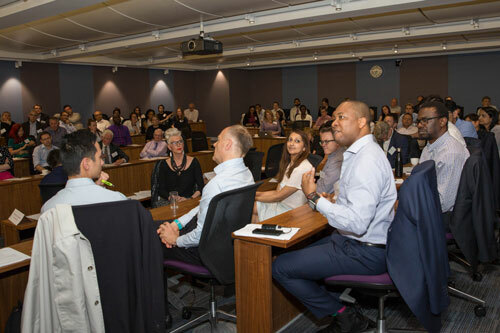 Find out more about the Executive Masters in Medical Leadership at Cass Business School here.